The Arduino is taking a SELFIE!! Well actually, it is not that difficult for an Arduino. I found out that my Canon Powershot SX50 HS camera has a port on the side for a remote switch. In the "Optional Accessories" section of the camera brochure, it identifies the remote switch model as RS-60E3. 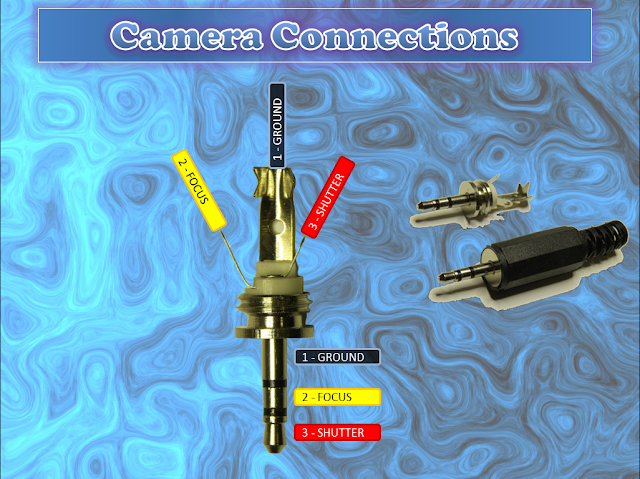 I then looked up the model number on this website to find out the size of the jack (3 core, 2.5mm), and the pinout (Ground, focus and shutter) required to emulate the remote switch. 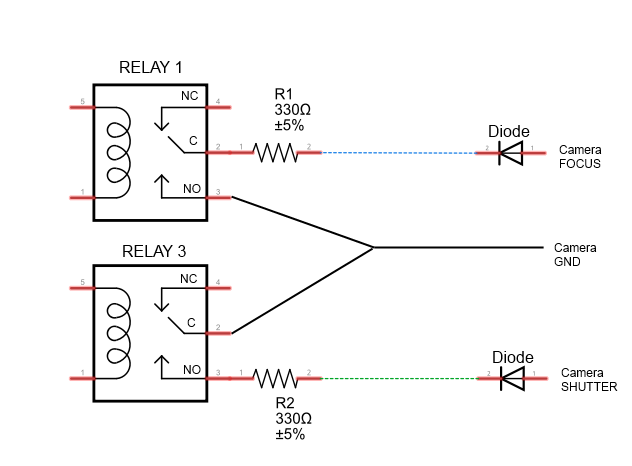 Once I had this information, I was able to solder some really long wires to the jack and connect up the circuit (as described below). 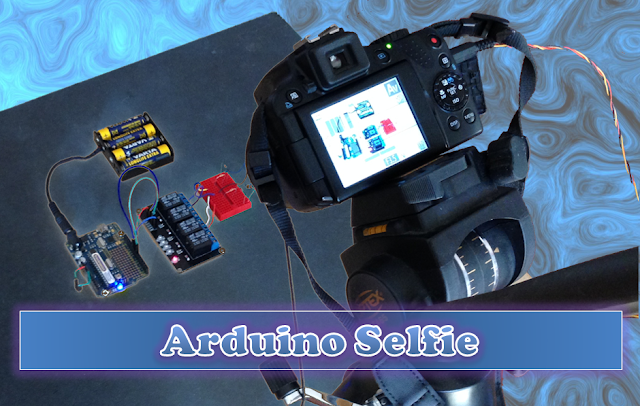 And before I knew it, the Arduino was taking Selfies !!! Warning : Any circuit you build for your camera (including this one) is at your own risk. I will not take responsibility for any damage caused to any of your equipment. By connecting up the camera to an Arduino, the camera just got smarter!! 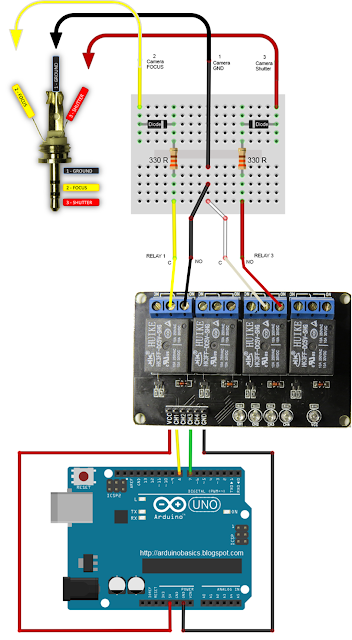 The Arduino connects to 2 different channels on the relay board in order to control the focus and the shutter of the camera. 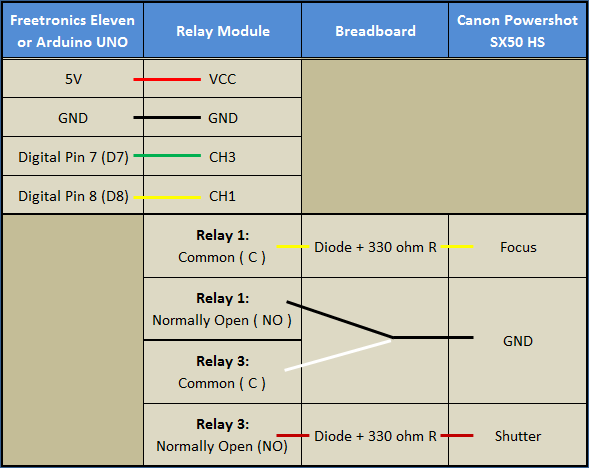 The relays are used to isolate the camera circuit from that of the Arduino. I have also included a couple of diodes and resistors in the circuit as an extra precaution, however they may not be needed. Warning : Any circuit you build for your camera (including this one) is at your own risk. I will not take responsibility for any damage caused to any of your equipment. Do your research, and take any precautions you see fit.